More than 35 athletes from the inaugural Winter Youth Olympic Games (YOG) in 2012 in Innsbruck (AUT) have made the step up to compete in Sochi. Many of them won podium places two years ago while others have gone on to become among the best in the world in their disciplines. All of them are still under 20, but have been deemed good enough to represent their countries on the greatest sporting stage! “Enjoy yourself! Work hard and focus on what you’re doing! Remember who you are, and be yourself!” That was the general message for young athletes taking part in the first ever Winter Youth Olympic Games in 2012, from experienced Olympians such as Tina Maze, Marion Rolland and Anna Fenninger. 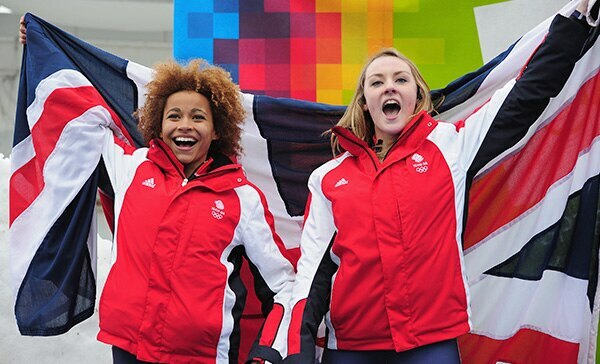 Competing in Innsbruck, and having the opportunity to experience life in the Olympic Village, further fuelled the ambitions of these young athletes to get to the 2014 Olympic Winter Games in Sochi. Innsbruck 2012 competitors were also the first to take part in several new events (ski half-pipe, slopestyle, mixed biathlon relay and women’s ski jumping), all of which will be making their “senior” Olympic debut in 2014. For some members of the YOG “class of 2012”, subsequent progress has been meteoric. 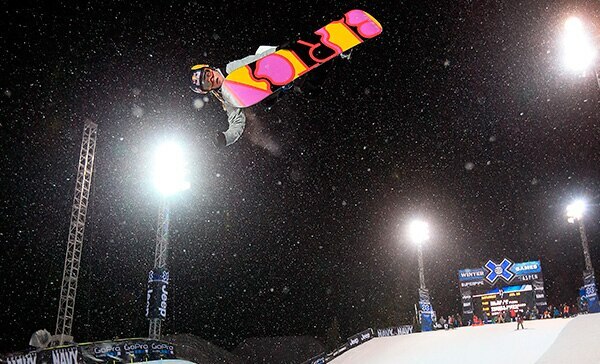 The young USA snowboarder Arielle Gold, winner of two silver medals in Innsbruck, was crowned 2013 half-pipe world champion in Stoneham (USA), and she is one of the main contenders for a podium place in Sochi. Switzerland’s Kai Mahler, winner of the ski half-pipe in Innsbruck, later showed further evidence of his potential by taking silver in the big air at the 2013 X Games in Aspen (USA), and bronze in the same event this year. 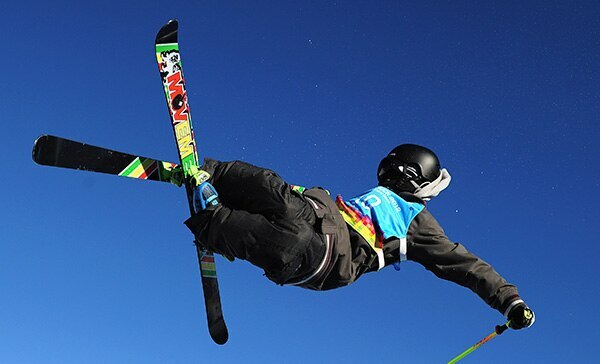 He will certainly be one to watch when ski half-pipe makes its Olympic debut at the Rosa Khutor Extreme Park. Japan’s Taku Kiraoka, a bronze medallist at Innsbruck, went on to win his first World Cup event in Sochi on 14 February 2013, and also claimed silver at the 2013 World Championships in Stoneham. Luger Myriam Kastlunger, a gold medallist at Innsbruck, was selected for the Austrian Olympic team where competition for places is notoriously fierce. Meanwhile, Germany’s biathlon team in Sochi will be bolstered by the presence of Franziska Preuss, who won three golds and a silver at the 2012 YOG. It is not just on the snow that the YOG “graduates” will be looking to make their mark in Sochi. At the Iceberg Winter Sports Arena several young figure skaters, including the Russia’s Adelina Sotnikova, and Chinese pair Han Yan and Zijun Li, will also be showing off their talents. Perhaps the most remarkable success YOG story of all is Sara Takanashi (JPN) , who is currently the women’s ski jumping world number one, and hot favourite to become the first Olympic champion in her discipline. Takanashi was just 15 when she took gold in Innsbruck, a feat that served as the springboard for her triumphant 2012-2013 World Cup campaign. And she has already won 10 of the 13 World Cup events in the current season, almost guaranteeing her a second consecutive large crystal globe. The decision to launch the Youth Olympic Games was taken in 2007 during the 119th Session of the IOC in Guatemala City. The purpose was to bring together the world’s best young athletes aged between 15 and 18 allowing them to experience new skills, cultures and the Olympic values while raising sport awareness and encouraging participation among youth around the world. The inaugural YOG was staged in Singapore in 2010, with the first Winter edition held two years later in Innsbruck. The next Summer YOG will be held in Nanjing (CHN) in 2014, followed by the Winter YOG in Lillehammer (NOR) in 2016. The YOG also introduce young generations of competitors to the universal Olympic values, offering significant educational opportunities in the form of workshops covering a range of important topics. These were the very aims that underpinned the launch of the YOG, which also provide opportunities for young sports journalists to gain valuable experience within the context of Olympic competition via the ‘Young Ambassador Programme’. The DNA of the Youth Olympic Games is further enhanced by the active participation of famous athletes, sports personalities and ambassadors many of whom are available during Games-time to provide advice and share their experiences with the young athletes through the Athlete Role Model Programme. The YOG provides skills and experience to all its participants to help with their future careers, both on and off the field of play. Those who will compete at Sochi 2014 go into the Games having already had a taste of Olympic competition, but more importantly, they will have already learned how to be Ambassadors of Olympism.